Maintaining the security of your computer can be a challenging task. Hackers often seem to be one step ahead of computer users, even those who are following the best security practices. 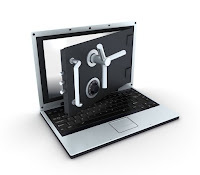 However, securing your computer is essential to protecting your privacy, reducing the risk of identity theft, and preventing hackers from taking over your computer. Clint Kiser of Kiser Computer Service, LLC, shared his recommendations for protecting your computer privacy. 1. Update your operating system regularly. 2. Use firewalls, Anti-virus programs, and Anti-malware programs. 3. Update your browser with the latest version of the software. 4. Keep all system software updated. 5. Back up all your data. 6. Do not open spam email messages, unexpected email attachments, and beware of embedded links in email messages. 7. Encrypt your wireless network, entire drives, folders and files. 8. Restrict software and set up administrative rights so that nothing can be installed on your computer without authorization. When a website asks you to enter your credit card information, do you look to see if the web address begins with https://? If it doesn't, you should never enter sensitive information like a credit card number.